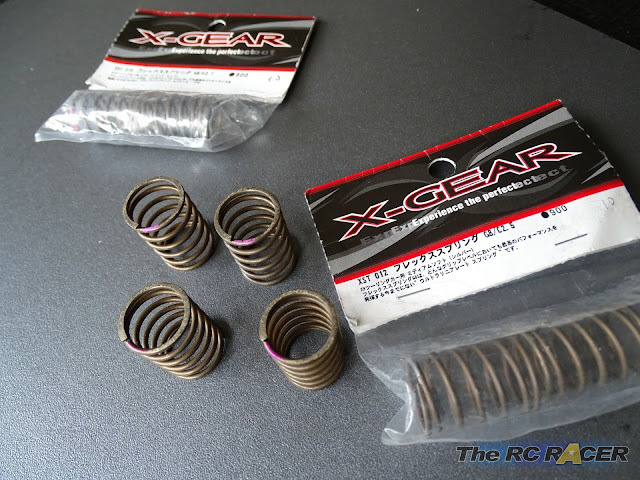 Springs are such an important part of our cars handling that I can get a little bit over excited when I hear of new ones to test. The X-Gear springs are the latest ones that some of my buddies have been enthusing about, so I thought I would get a few to try. These should give me a good range to tune the car on the carpet that I race. The titanium looks good with the blue.. if that matters? The springs themselves have a nice Titanium colour, with a drop of paint to identify the stiffness. They are 25mm tall and have an oversize diameter of 13.5mm. This puts them roughly the same size as most current TC springs. I was keen to try them out on my third outing with the Low-profile TRF419. Initially I had the Pink front and silver rear springs installed on the car and I was ready to to take it out on the track. I found the car handled well straight from the get-go. 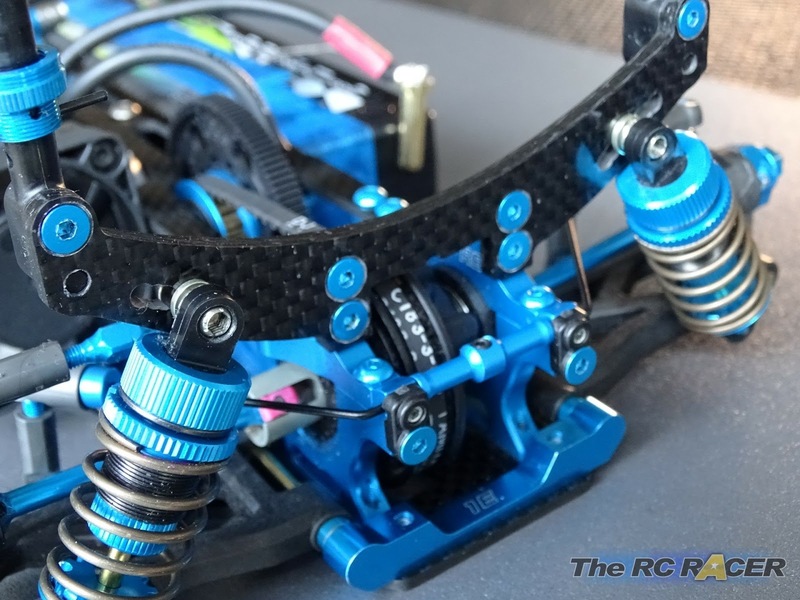 The springs felt similar to the HPI's more than the Yokomos. I always think that the Yok springs are more progressive and they feel a little soft and make the car roll easier, these seemed to roll less. For the next race I actually moved up to having pinks all around. The rear was very planted with the silvers, almost too much for the tight chicane section. 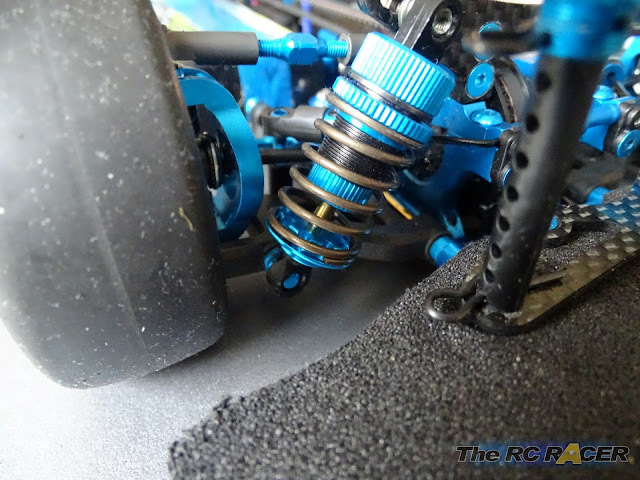 The harder rear spring helped the car gain more steering and it felt really good with this set-up. I had a couple of races with the pinks all around, as the grip came up I found the car had a huge amount of steering. For the last race, it was late and I was tired so I thought I would make the car slightly easier to drive and fit the Red front springs. 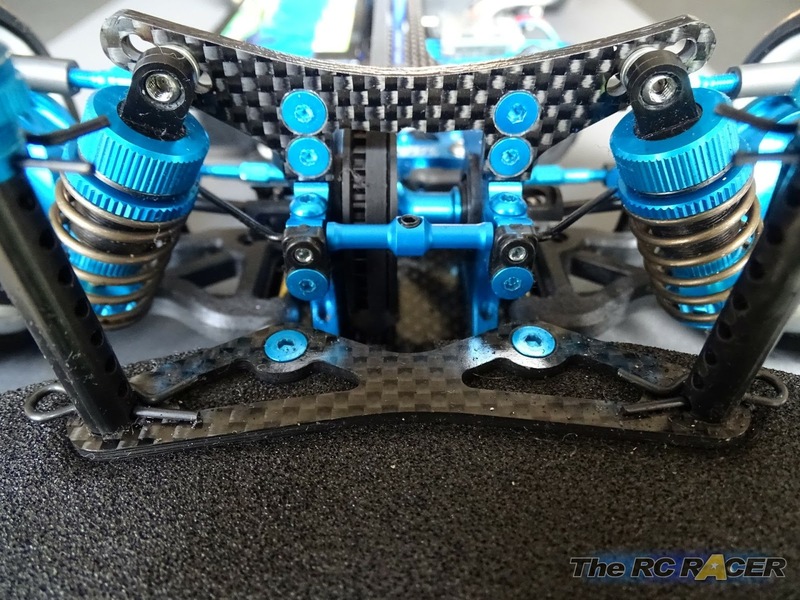 These are just slightly stiffer and they could take some of the initial steering from the car, making it easier to drive for a tired racer like myself. (I had already qualified 1st for the final). The actual track grip seemed to be less for this race as it had got a lot cooler in the hall (People leaving and the doors being open no doubt) however the car was still very easy to get around, the chicane was not quite as fast now as I had taken some of the steering away, but it was easy to keep the car on a quick line that I had discovered over the night, so I just kept hitting that line and took the victory. If you squint, it looks a bit like a face.. Overall I was pretty impressed with the springs. I think I prefer them on carpet to the Yokomo springs, although I also do like the HPI springs even on carpet. I am keeping them on the car to test some more. I am going back to Pink all around. I was also pretty happy with myself that the Low profile TRF had managed FTD's and overall wins in each of the 3 events that it has raced.